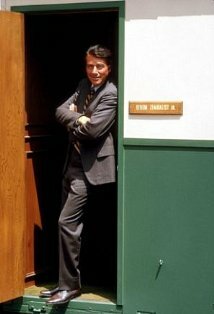 Season Two (1966-67) of Quinn Martin’s The FBI series starring Efrem Zimbalist Jr. is coming out this spring, according to the TV Shows on DVD Web site. Last May the folks at the Warner Archive released an MOD (manufacture on demand) DVD set for The F.B.I. – The 1st Season, Part 1, and then followed it up quickly in August with their The F.B.I. – The 1st Season, Part 2 MOD set. Both titles, like many Warner Archive releases, were also made available from Amazon’s CreateSpace program, too. The Warner Archive Collection team hasn’t announced this themselves, as it’s a bit earlier than they normally would do so. However, two new pre-order listings at Amazon.com show that MOD versions of “The F.B.I. – The 2nd Season, Part 1” and “The F.B.I. – The 2nd Season, Part 2” are in the works, with an availability date on both of them marked there for April 3rd. Assuming this is all true (and the Web site has a good record of accuracy), that means a treasure trove of espionage-related episodes of the 1965-74 series will become available. They include Vendetta, where John Van Dreelan plays an ex-Nazi now spying for the Eastern Bloc; List For a Firing Squad, where The FBI and Eastern Bloc agents are after the same operative who has obtained a list of underground leaders in an unnamed Communist country; and The Assassin, where a very ordinary looking man turns out to be an assassin working for an Eastern country (and there’s a brief dig at James Bond). Not clear whether that’s a denial or a confirmation.